When 22-year-old Chris (Emile Hirsch) finds himself in debt to a drug lord, he stumbles on the scheme of hiring a hit man to dispatch his mother, whose $50,000 life insurance policy is supposed to go to his sister Dottie (Juno Temple). Chris hires Joe Cooper (Matthew McConaughey), a creepy, crazy Dallas cop who moonlights as a contract killer. When Chris can’t pay Joe up front, Joe sets his sight on Dottie as collateral for the job. 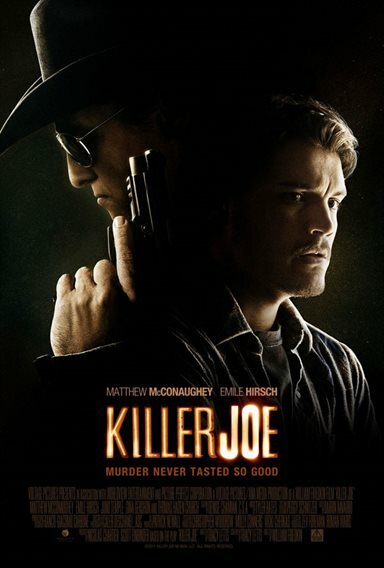 Download Killer Joe in Digital HD from the iTunes store. Killer Joe images are © LD Entertainment. All Rights Reserved.